On average a property should be on the market for no longer than 15-20 days. In peak times it is not uncommon for a property to be rented the same day! Properties offered in good condition will always attract suitable tenants within a few days. For advice to show your property at its best and for recommendations to make improvements in order to achieve the maximum rental potential, please ask one of our experienced staff who will be more than happy to help. 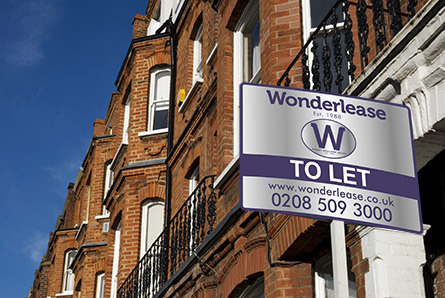 Wonderlease is a member of such a scheme and will automatically hold all tenants damage deposits unless a landlord can prove that they are also members of a government- authorised scheme. When a dispute occurs, and if landlord and tenant both agree to use the service to resolve disputes offered by their scheme provider, they are agreeing to be bound by its decision. On the day the tenants move in, one of our staff members will meet them at the property. We will take meter readings, photos for our records and handover the keys to the tenants.